What would Metro's Look Like? Will these Employees Ever See the Light? 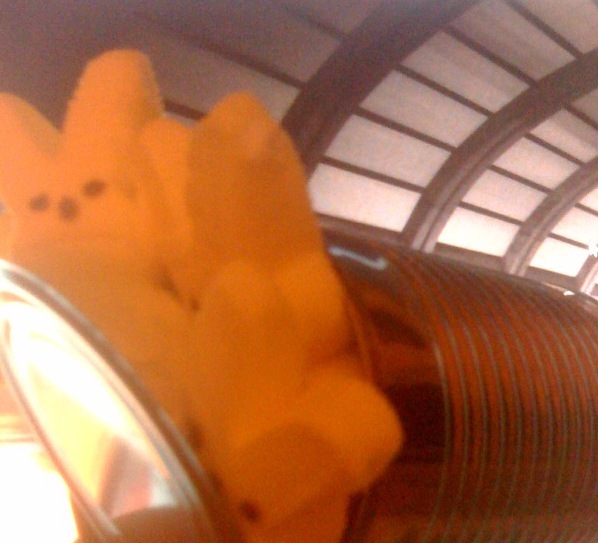 The Washington Post has a Peep diorama contest every year. Here's this year's, but last year, WMATA employee Cherry-Ann Santos gave her vision of a WMATA of the future. Since you can't link directly to it, it's #12 here. Given the year WMATA's had, we went with something a little more reality based for the Unsuck diorama. A lot of hard work went into this. Several Peeps were harmed in the making of this post, but they were definitely NOT eaten. I know just how those Peeps feel every day on the Red Line. Peep on, Unsuck! Thanks to you, I truly believe someday we riders will remain fluffy and cute ourselves even on Metro! Hey!!! Just saw this on the right hand side of your page in the Twitter column. How can they reject it? Oh, wait! Reality bites doesn't it, Metro? As Nicholson said in A Few Good Men, "You can't handle the truth!" Unsuck, thanks for the laughs and smiles! You rule!